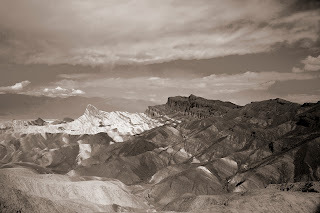 When I hear Zabriskie Point two thoughts spring to mind. 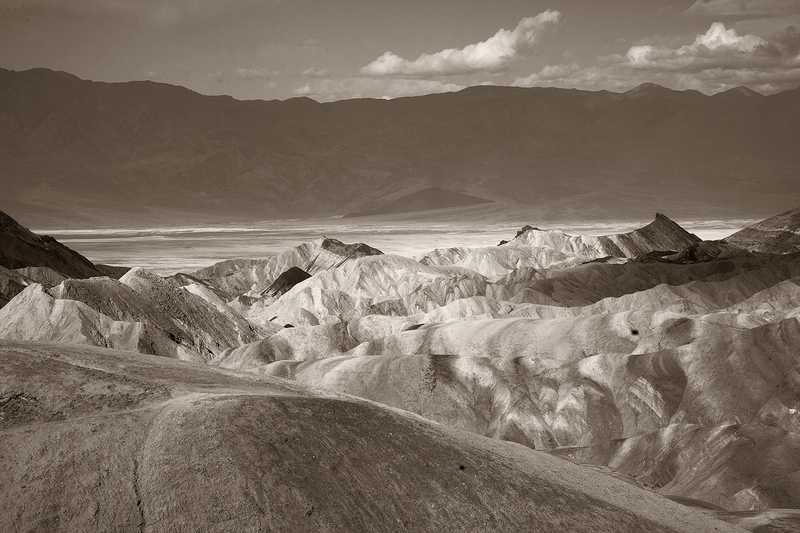 One, of course, is the famed Death Valley landmark and the other is Michelangelo Antonioni’s failed 1970 film of the same name. The photogenic locale endures as a photographic magnet and Antonioni’s panned 1970 paean to sixties counter culture endures as a cult classic replete with dialogue by Sam Shepard and music by Jerry Garcia, the Rolling Stones and Pink Floyd. In it Harrison Ford had an uncredited role as a jailed student protester. The movie ending five minute slow motion explosion fantasy with Pink Floyd’s Careful with the Ax beneath the bombast is worth the trip. Pun intended. 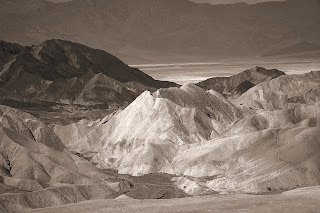 Zabriskie Point is part of the Amargosa Range and of the Furnace Creek formation in eastern Death Valley. 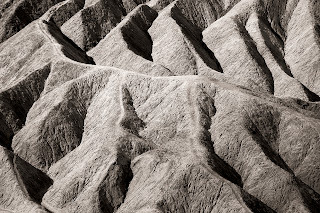 It’s described as badlands which I take to mean dry, inhospitable and desperate. In other words beautiful. From the main vista point spreads a 360 degree view of otherworldly tucks, folds and creases of rock and of the desert floor stretching to the Black Mountains in the distance. Zabriskie is often portrayed abstractly with the convolutions in the rock photographed without the context of the broader landscape. And as with other iconic locales producing a transcendent image is a result of some skill and more luck. Zabriskie Point is a Soviet code for a location on the moon and couldn't be a more apt for this barren moonscape. But it was actually named for Christian Zabriskie the general manager of Pacific Coast Borax Company whose twenty-mule teams transported the borax from its Death Valley mines. 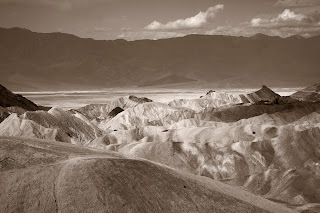 Anybody remember Death Valley Days from early television? Who was its host? Very fine work, Steve. And as always, words to match. The host of Death Valley Days was (Ooops! I almost gave it away) Instead, I offer a clue : Bonzo. OOPS. Sorry, John. Was I supposed to let Steve guess? This series is some of your best work, Steve. 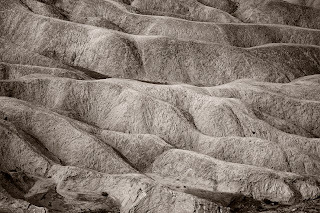 The first three images are incredible, and of course, the crenulations are also stunning. 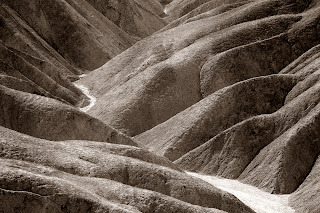 Zabriskie Point must be quite the place. Dale Robertson was was one of the hosts of Death Valley Days but I was thinking of the once and future President, Ronald Reagan. If you named either you are muy smart or muy old.